MANHATTAN — An Arizona man was arrested on Wednesday for hacking into more than 1,000 Pace University students’ email accounts to search for embarrassing content, according to the U.S. Attorney for the Southern District of New York and a Pace University spokesman. Jonathan Powell, 29, from Phoenix, broke into 1,035 Pace University students’ email and social media accounts between October 2015 and September 2016 and searched them for photos as well as keywords such as “naked” and “horny,” the spokesman and a criminal complaint said. Powell accessed the students’ personal information by resetting university email account passwords and, through the university account, changing passwords for students’ Facebook, LinkedIn and Apple iCloud profiles as well as personal Gmail accounts, according to the complaint. 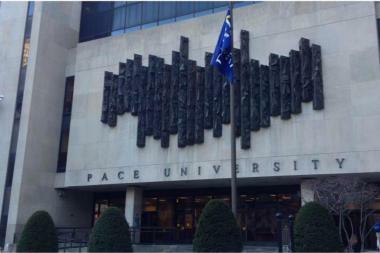 Pace University contacted the FBI after students reported changes to their account passwords in August 2016 that they had not initiated, according to the complaint and a university spokesman. The FBI mounted an investigation and tracked the hacker’s IP Address to Powell’s workplace computer, which showed Powell had attempted to access 2,054 Pace University email accounts, 220 email accounts from an unidentified Pennsylvania university, and login portals for more than 75 university servers across the nation, the complaint contends. The web browser also revealed numerous searches for biographical information that might help him crack the students’ passwords — such as high school mascots and names of grandparents, according to the complaint. Powell was arrested and is expected to be charged with one count of fraud in Phoenix. If found guilty will face a maximum of five years in prison, prosecutors said. “This case should serve as a wakeup call for universities and educational institutions around the country,” said U.S. Attorney Preet Bharara. Powell's attorney was not immediately available for comment.